With BananaThai, learning Thai had never been this enjoyable. Our innovative learning tools, motivating instructor and practical contents allow you to learn Thai effortlessly. What learning tools will you get? Get your colored 120-page textbook, with contents and photos. Write down your own notes and highlight your keywords, while learning on screen. Exercise sheets come with solution sheets. You can test yourself and see your result right away. 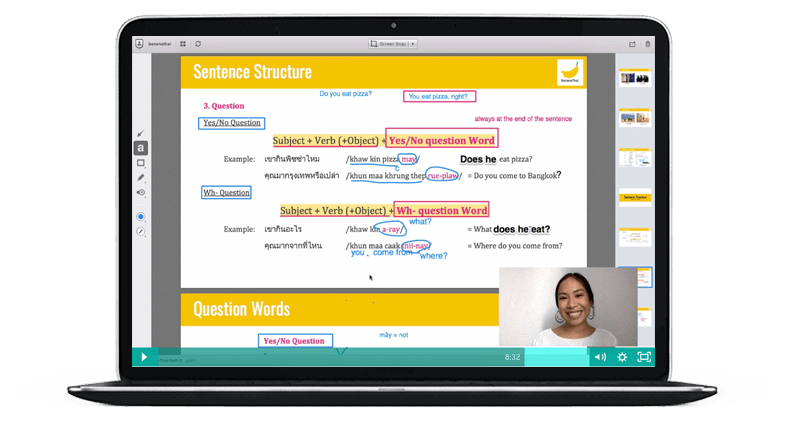 Learners can access to more than 500 Thai words and phrases via Quizlet Application. Besides photos, diagrams and Thai audios help you remember words while improving listening skill. 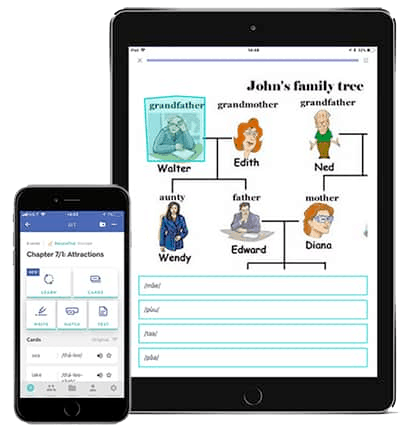 This flashcard app is available on iOS, Android as CPs. 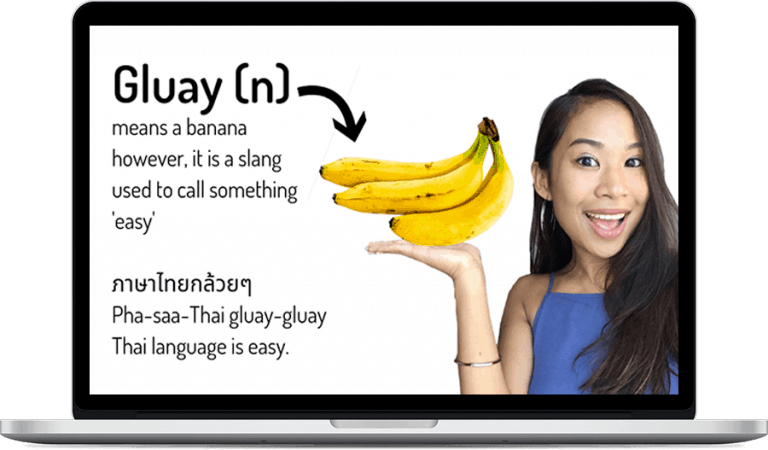 Just learn Thai on the go. A real-time smart board is used to annotate, highlight and note down examples. Learners can interact with Kru Smuk right away. This method keeps student motivated and engaged. you will ultimately be able to continue learning Thai on your own. What payment plans are offered? Self-Paced Intensive Thai Course offers you 3 payment plans. Learn as much as you want as long as you subscribe. The subscription is automatically renewed every 30 days. Access the course within 3 months of your purchase. Access the course and rewatch video lessons for a lifetime. It is a 10-hour course with around 45 video lessons. Each lesson takes 10-15 minutes to complete. You can easily finish one lesson every morning and practice during the day, and it will take you 45 days. Again, you can go back to the previous lessons to review anytime. Your 100% satisfaction with BananaThai is our #1 concern. A fully refund is applicable within 3 days after your purchase. We offer the refund only when there is a reasonable difficulty of using the platform such as trouble downloading a course materials, trouble logging in and trouble accessing to the online video lessons. Ps. A course purchased by a promo is not applicable.